Everest is one of the leading manufacturers and supplier of the dry screw vacuum pumps globally. With their latest technology pumps in the product range, EVEREST stands distinguished with their top suction bottom discharge design which offer multiple advantages in terms of long life of the pumps as well as savings in the power consumption. Everest dry vacuum pumps are the latest technology pumps having combined hybrid variable pitch design having 100% efficiency in terms of displacement as well as in a vacuum. Hybrid design provides these pumps an edge over technology wherein all other companies are only exploring their option to manufacture such improved design. You can download our catalogue here. Everest has reached various milestones by receiving awards and accolades in this field of manufacturing and has set their benchmarks to achieve heights with their currently working man force of 500+ employed and government approved R&D facility for providing continual improvement as per the feedback from the clients. These pumps can be coupled with vacuum boosters to offer a high capacity range (600-2000 m3/hr) along with improved vacuum levels (0.75 to 0.001 Torr(A)) under blank-off conditions. With such improved results, one can expect better recovery and output in one’s processes and gain better cost in the market for their produce. Roots vacuum pumps are also generally referred to as roots blowers, they are mostly used for lifting, holding or chucking, compacting, liquid transfer, De-hydration, waste oil re-refining, CNSl distillation, forming, filtering & cleaning and house vacuum application in hospitals. These pumps achieve vacuum upto 737mm for single stage and upto 754.4mm for two-stage configuration at mean sea level. 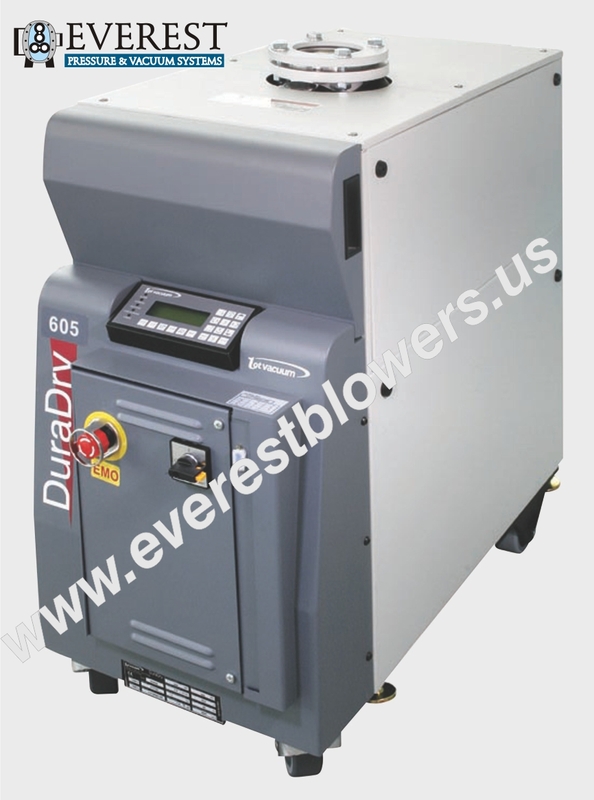 Everest Blowers is one of leading manufacturers and suppliers of industrial dry vacuum pumps and roots vacuum pumps in Tustin, CA, USA.